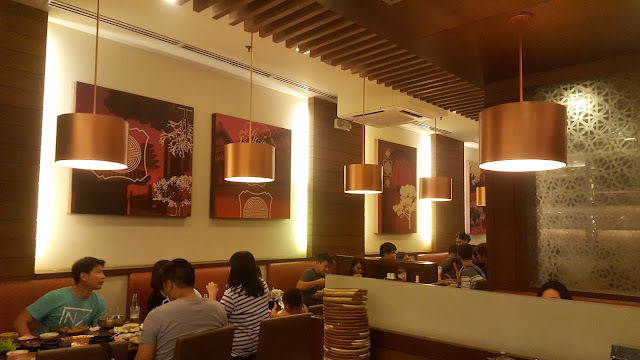 Last Saturday, I went to BGC Highstreet Central for a very exciting foodie meet-up. I was looking forward to this dinner ever since I met the some of the people behind Happyfoods Group of Restaurants, the owners of Soban (another Korean BBQ resto in Eastwood which you can read about here). They happen to be the same owners of Sariwon too. 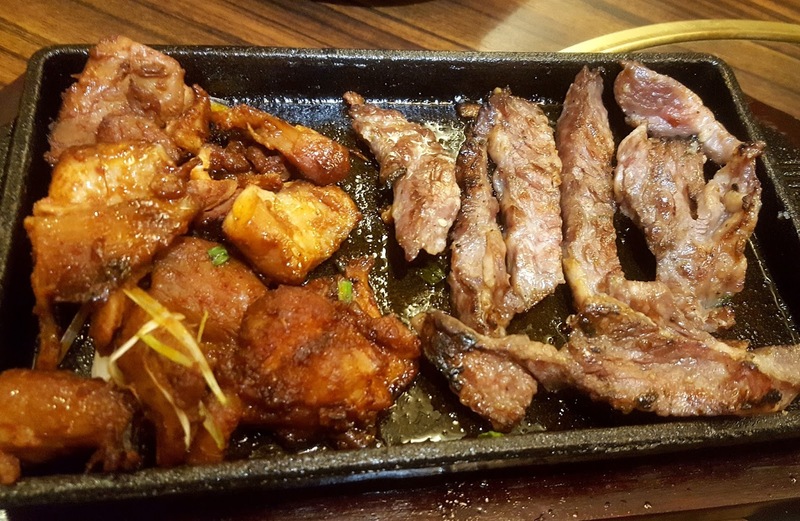 Sariwon has become synonymous with serving legendary Bulgogi since its beginnings in 1938. 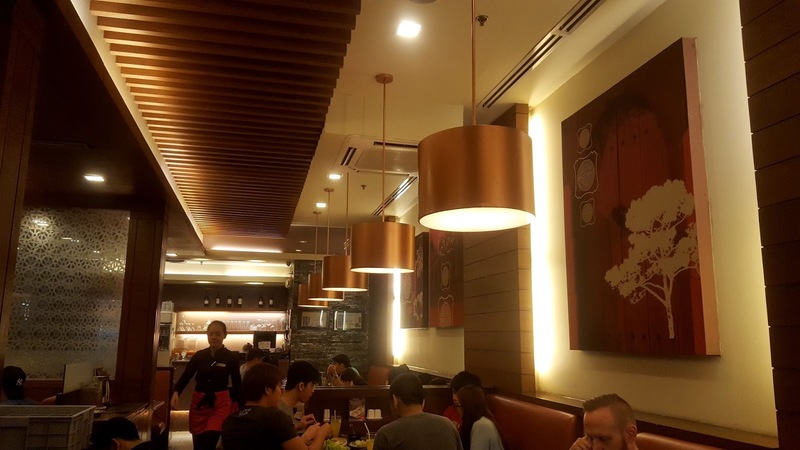 It was brought to the Philippines by the Happyfoods Group of Restaurants. 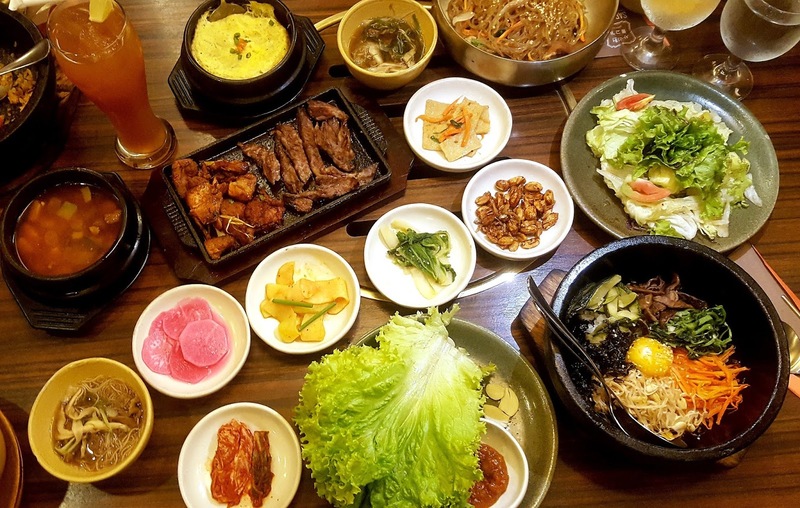 The restaurant was established by grandmother Mrs. Bun-Im Koo from the town of Sariwon in North Korea, who developed an extraordinary broth recipe for Korean traditional beef barbecue or Bulgogi. 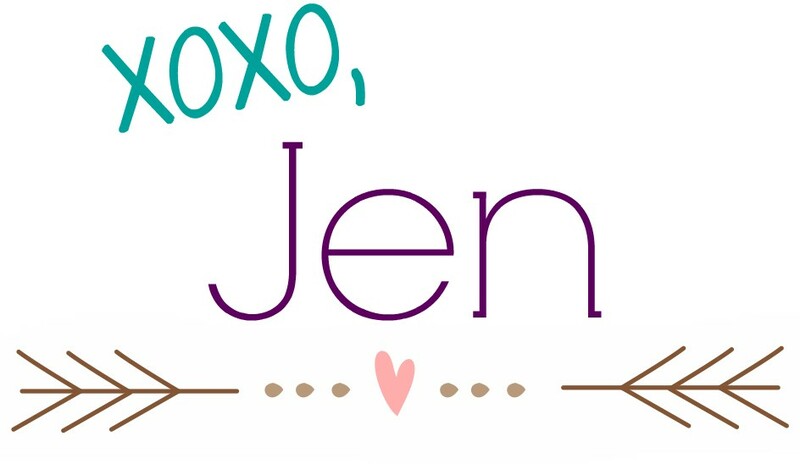 Made from 12 different kinds of fruits and vegetables and prepared in complete disregard of sugar, it was created with love for her diabetic husband. 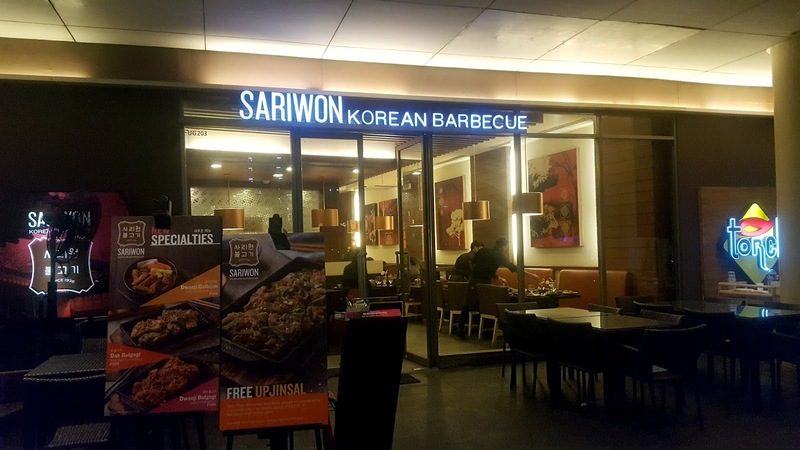 Sariwon has been awarded with: Best Korean Restaurant Award - Seoul Metropolitan Government, Philippines' Best Restaurant Award 2013-2017 - Philippine Tatler Dining and Store Operations Excellence Award 2014 (Bonifacio High Street Central) - Ayala Malls Group. Their store in High Street Central is smacked right in the middle of the area's left wing amongst the well-known restos like Nolita, Torch and Elias. 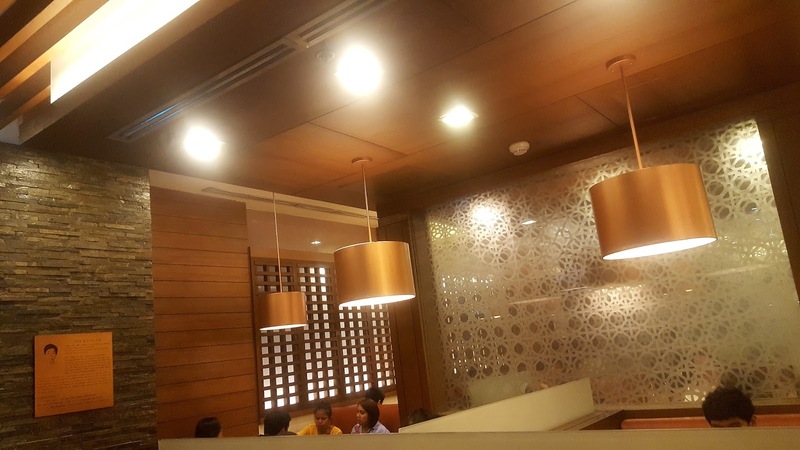 The ambiance is cozy with red, brown and gold color-scheme. Nothing too fancy, just enough good atmosphere to enjoy your food. We were served with a lot of items that night. We had a combination of good for 2 and good for 6 Yangnyeom Galbisal Set. This set highlights marinated rib fingers. Both sets contain Chesanggeup Yangnyeom Galbisal which are premium, melt in your mouth boneless USDA choice beef short ribsmarinated in sea salt and other spices. 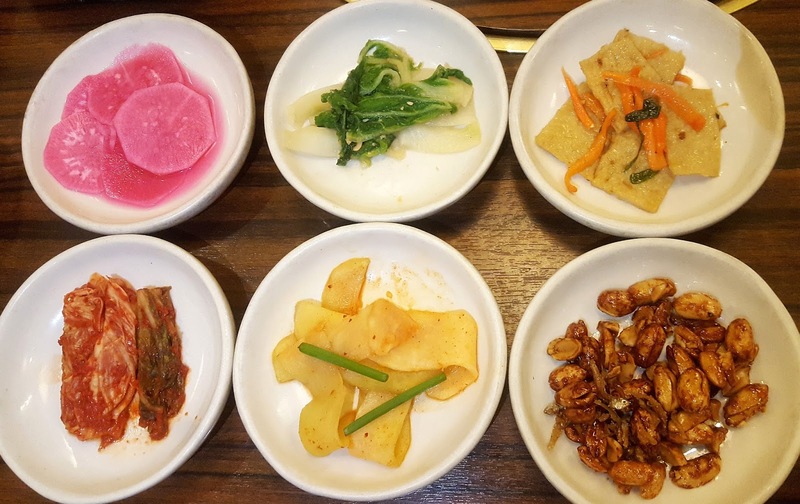 The sets also includes Dak Galbi, Japchae, Doenjang Chigae, Dolsot Bibimbap and Gyeranjjim. The only difference from the sets is that some of the items in Set Good For 6 is served in twos and that it has Doenjang Chigae. Side Dishes - refillable pickled radish, steamed Bokchoy, fish cakes, Kimchi, peanuts,and house salad. If you can see the first photo in this blog post, that's how many food items that are included in the sets. Yes there's a whole entourage of food besides the meats which are the star of these sets. So whenever you hear that you're eating Korean BBQ for lunch or dinner, expect this much food. Ssam, Gochujang and Fresh Garlic - these comes with any set that you'll order. 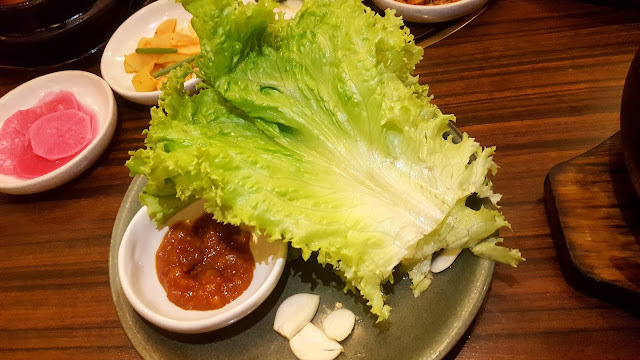 Ssam are various leaf vegetables which are used to wrap a piece of bite-size meat, while Gochujang is Korean chili pepper paste. 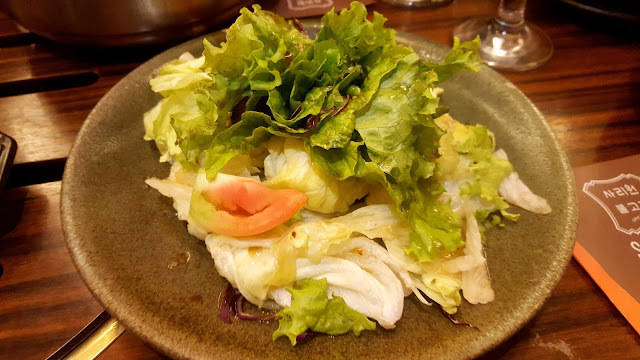 You use the lettuce to wrap your grilled meat and you can put any of the side dishes together with the meat, or rice if you want to. Then you dip it in the Korean chili pepper paste. Now that will be a bunch of flavors exploding inside your mouth! I eat my grilled meat both with and without wraps; both are equally good, little bundles of joy! 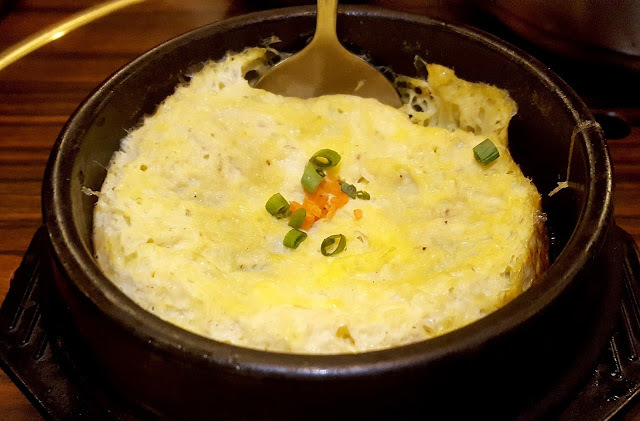 Gyeranjjim - fluffy steamed egg casserole. I must admit after all that was served to us, this has got to be my favorite! Weird but yeah. I attacked them like some crazy old woman, when everyone almost forgot about it. It is so good with any other Korean dishes, as Gyeran Jjim is a side menu that mellows down the spiciness of other Korean dishes really well. I have one concern though; it's supposed to be super soft, fluffy and that almost needs no chewing, but this one is quite dry and textured. Either way, I still love it and I had it all to myself. 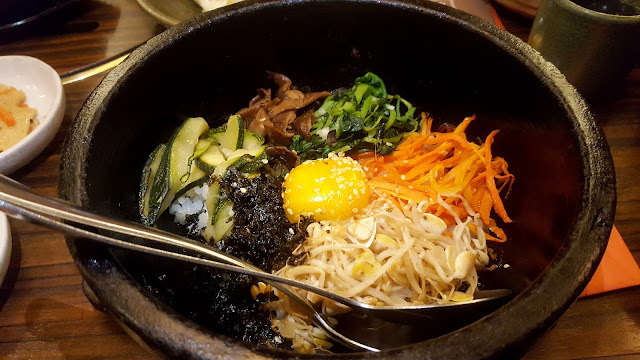 Dolsot Bibimbap - a popular variation of bibimbap served piping hot in a sizzling stone pot. This comes with a raw egg on top, and arrives at the table with a head-turning sizzle; surprisingly attention-seeking for such a homely dish. The bibimbap never comes in a size smaller than huge because the real pleasure of it isn't in the first mouthfuls. It's in the way the warmth and flavors draw you in, deeper and deeper into good flavors. Dak Galbi and Chesanggeup Yangnyeom Galbisal - Dak Galbi are grilled boneless chicken delicately marinated overnight in a secret spice sauce for that tangy taste. Chesanggeup Yangnyeom Galbisal which are premium, melt in your mouth boneless USDA choice beef short ribs marinated in sea salt and other spices. The beef was tender and it was almost a melt in the mouth experience eating it. For the good quality, it is very reasonably priced as compared to other Korean restaurants. It was luxurious like made in heaven. When in a Korean resto, I would always order Samgyeopsal, but it's good to try other meat variations. Japchae - a colorful dish of Korean vermicelli noodles, pork, mushrooms, green, onion, carrots and other assorted vegetables. 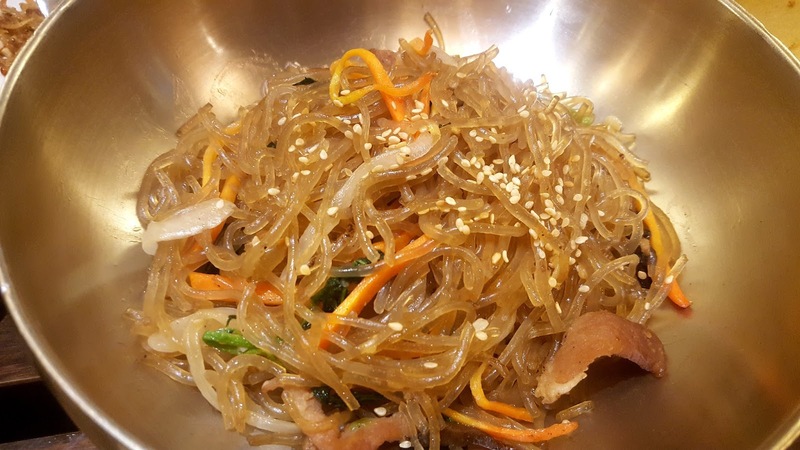 Personally I love their sweet and fragrant Japchae sauce and the noodles are yummy, slick and gummy all at the same time. Doenjang Chigae - delicious and spicy stew made with soybean paste, beef, tofu and vegetables. The flavor of doenjang has that distinctly umami flavor of soy sauce. 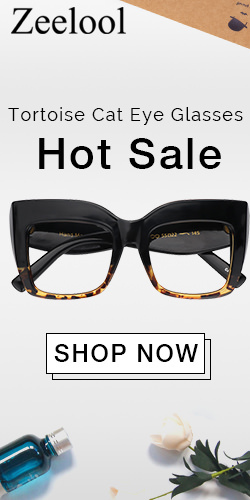 It’s comparable to miso, except it’s more assertive. The spiciness level for this was just right for me. 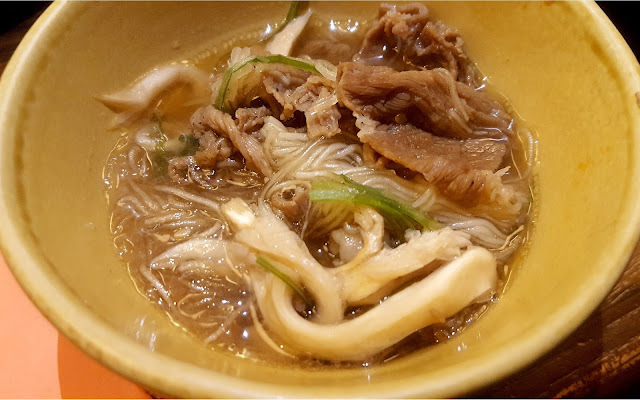 Seolleongtang – rich and creamy beef bone soup. The broth is rather delicate and had some depth. I'm not sure how they achieve this but it tasted great. 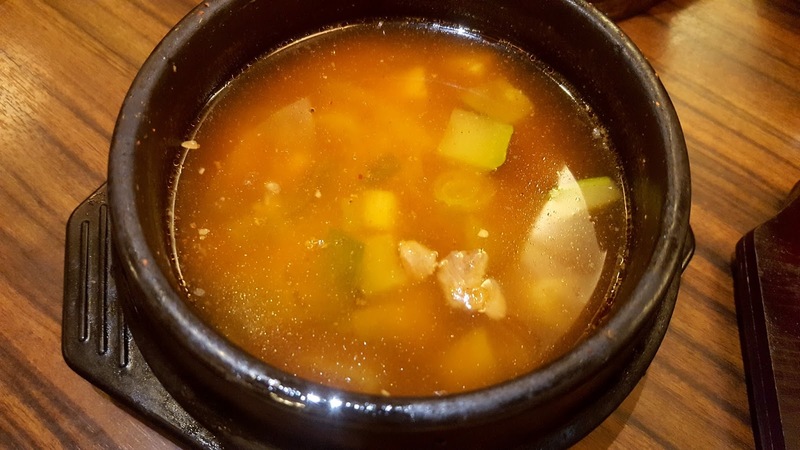 As far as I know, Seolleongtang is an ox bone soup that is made by boiling the bones over and over until you get a milky white broth. Sariwon's had clear glass noodles inside as well as pieces of beef. At first I thought it would taste bland, but it was very tasty. 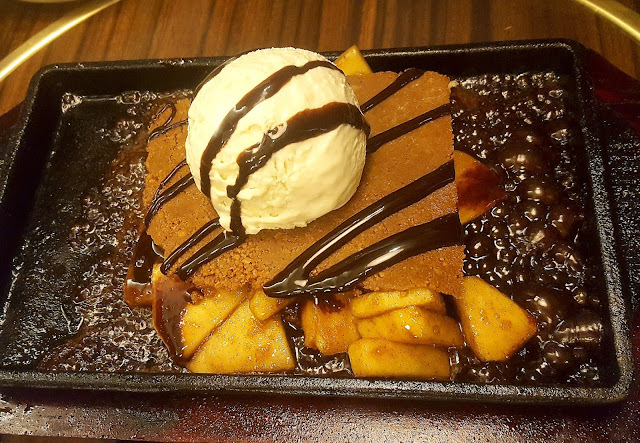 Sizzling Apple Graham - fresh apples on a soft graham bed topped with homemade vanilla ice cream served sizzling. Woohh! Desserts! Best part of any meal right? I love the graham because it wasn't the usual hard cracker, this one was soft and chewy which complements the crunchiness of the apple cubes. The presentation was also something because it was served on a sizzling plate and topped with a huge scoop of Vanilla ice cream. Yum! 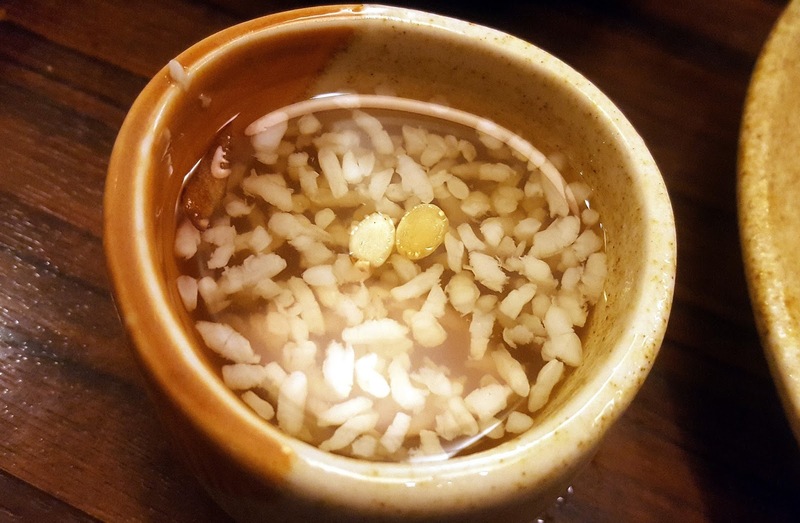 Sikhye - complimentary traditional sweet drink homemade with malt and rice. This is yummy, nutritious, refreshing and good for digestion (as per our server Ron). This reminded me of the broth that you get while there's still liquid whenever you're cooking rice. But with some added texture due to the pine nuts. Soju is a distilled beverage containing ethanol and water. It is usually consumed neat and considered "Korea's most popular alcoholic beverage" It is traditionally made from rice, wheat, or barley, modern producers often replace rice with other starches such as potatoes, sweet potatoes, or tapioca. - Margarita Soju - crisp and classic blend of triple sec, lemon juice and soju. - Sangria Soju - a refreshing blend of apple, orange and lemon slices mixed with red wine and soju. - Mojito Soju - irresistibly fresh and punchy mix of mint, cucumber, lemon juice, soju and soda. - House Blend Iced Tea - this one is refillable, by the way. The restaurant staff are warm and welcoming to its customers. 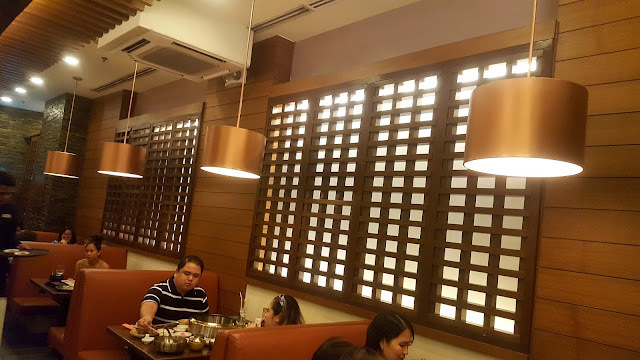 Kudos to the restaurant manager and staff as well, who were attentive to every table. 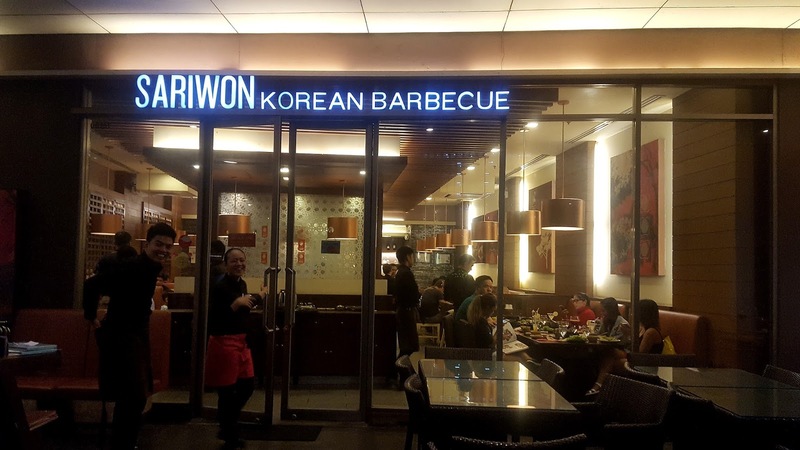 At Sariwon it is either you can cook your barbecues on your own or you can ask the staff to grill the meats for you and they will be happy to do so. The prices are not too expensive as well, just worth it of the quality of the food that they are offering.